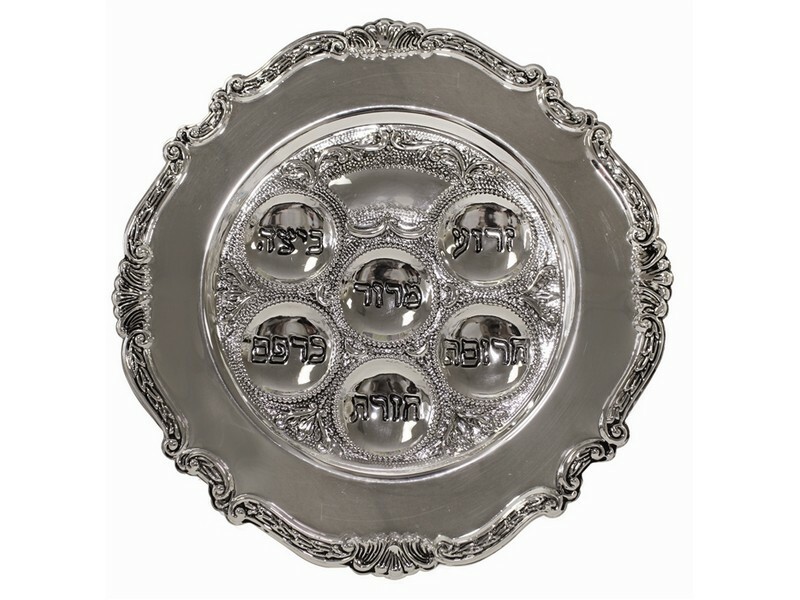 This classic styled silver plated Seder Plate, will enhance your Passover Seder table. Designed and inspired by the traditional layout of the symbolic foods placed on the Seder Plate and with the Hebrew names of the corresponding food engraved in each recessed bowl. The round Seder Plate is encircled with elegant designs around the outer edge.